The retired Catholic archbishop of Havana called for dialogue between the United States and Cuba, and said it's the only way in which past and present problems can be solved. In a June 19 letter published in Palabra Nueva, the magazine for the Archdiocese of Havana, Cardinal Jaime Ortega, who played a major role in the rapprochement between Cuba and the U.S., said "resorting to old models" and applying them presently to Cuba can "overshadow or delay" the resolution of conflicts between the two countries. The letter coincided with two important events: the release of Cardinal Ortega's book chronicling the role the church played in the 2014 restoration of diplomatic relations between Cuba and the U.S, and President Donald Trump's announcement of changes to U.S. policy toward the island-nation, including a rollback of an Obama-era opening of diplomatic relations and an easing of some restrictions. A U.S. bishop echoed what Cardinal Ortega said about dialogue. "It is important to continue to promote dialogue and encounter between our neighboring nations and peoples," said a statement, also released on June 19, from Bishop Oscar Cantu of Las Cruces, New Mexico, chairman of the U.S. bishops' Committee on International Justice and Peace. 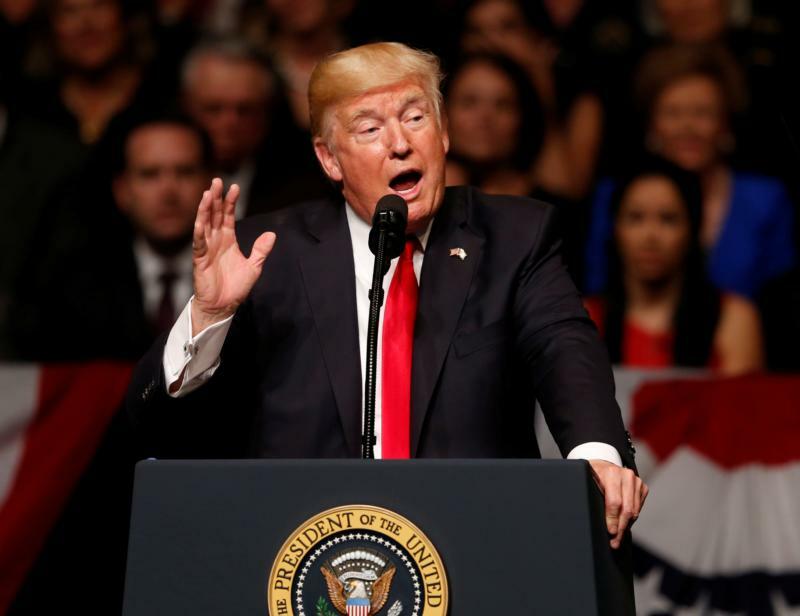 When Trump delivered his speech June 16 in Miami, It was hard to tell what changes were made to U.S. policy toward Cuba, but what couldn't be missed was the tone he took toward its government. "We will not be silent in the face of communist oppression any longer," he said while surrounded by a crowd of exiles, emigres and Cuban-Americans, including Republican Sen. Marco Rubio of Florida. The Cuban government responded in a statement that Trump's discourse was laden with "hostile rhetoric" of the past, but the last two years "have demonstrated that the two countries … can cooperate" and live peacefully in a civilized manner while respecting their differences. Cuba, however, was committed to "respectful dialogue," said a statement from the government. In the Miami meeting, Trump said that "effective immediately, I'm canceling completely the one-sided deal with Cuba," but he announced the U.S. Embassy would remain open on the island and didn't mention anything about the island nation's embassy in the U.S., which is in Washington. The embassy reopened for the first time in more than 50 years in July 2015 under the Obama administration, and it was then one of the many changes that took place when the U.S., with help from the Vatican, began to reopen diplomatic relations with Cuba. President Barack Obama eased travel and business restrictions. One of biggest changes the president announced was what he called a "ban on tourism," but Department of the Treasury documents say the restrictions refer to "individual people-to-people" travel from the U.S. to Cuba, which basically means that a visitor can go on his or her own to the island for "educational travel" that is not tied to a university or academic degree program or group. In his June 19 statement, Bishop Cantu said, "I was saddened to learn that President Trump scaled-back our country's bilateral engagement with the island nation." Bishop Cantu said he had a scheduled pastoral visit with the Cuban bishops on June 17 and said that while "serious human rights concerns persist" on the island, the U.S. Conference of Catholic Bishops, "in solidarity with the bishops of Cuba and the Holy See, has long held that human rights and religious freedom will be strengthened through more engagement between the Cuban and American people, not less." He asked the president to "consider the ramifications for many ordinary Cubans who have taken advantage of new opportunities to support their families" as the regulations are drafted, and recalled how Pope Francis helped the two nations "to come together in dialogue." "It is important to continue to promote dialogue and encounter between our neighboring nations and peoples," Bishop Cantu said. Visitors to the island with "group people-to-people travel," which some church groups use, still will be able to visit. The other change the president talked about involved U.S. companies that do business with military on the island. "We will strongly restrict American dollars to the (Cuban) military," he said, but he didn't say how. Treasury Department documents say "any Cuba-related commercial engagement that includes direct transactions with entities related to the Cuban military, intelligence, or security services that may be implicated by the new Cuba policy will be permitted provided that those commercial engagements were in place prior to the issuance of the forthcoming regulations." Lawrence Ward, a partner at the international law firm Dorsey & Whitney in Washington, said that while what Trump said "was a direct rebuke of the Obama administration's loosening of sanctions against Cuba," the announcement did not "make clear precisely what will change and how, but does emphasize that the United States does not want to enrich and empower the Cuban military." However, he said, "It is important to note that the Obama administration did not want to enrich or empower the Cuban military either." Bishop Cantu's statement said: "The fruits of investment in Cuba should benefit individuals and families, and not the security forces." Ward said that while the Treasury Department has made clear that it will take some months for any new regulations to be implemented, "it is safe to say that there will be tightening of the people-to-people travel 'general license.'" The changes will make it much harder for Americans to travel to Cuba, Ward said, and the burden of complying will be placed on American travelers and on the Office of Foreign Assets Control, which administers and enforces the regulations. "In all, though, it seems that Trump's announcement in Miami does not go quite as far as some had thought possible because embassies in the countries will remain open and diplomatic relations will continue," Ward said. The embargo against Cuba, which only Congress, not a president, can change, will remain in place, Trump said. The U.S. Conference of Catholic Bishops, as well as the Vatican, has long called for an end to the trade embargo, which has been in place for almost 60 years. Even St. John Paul II, an ardent opponent of communism, favored lifting the sanctions. "Embargoes," he said while addressing a group of young people during his visit to Cuba in 1998, "are always deplorable because they hurt the most needy." Bishop Cantu in his statement reiterated the church's stance against the embargo, saying that "for decades, we have called for the U.S. travel ban and embargo against Cuba to be lifted."